Michael Wong is not only his family’s first to attend college, he’s attending an Ivy League school. The culture shock was severe, and he wasn’t ready for it. When you are the first in your family to go to college, you feel like an explorer sailing into a strange land. friends and family cheer you on as you head out into the unknown. You feel grateful for their support, but frightened about the uncertainty of the journey. Being the first at something is a challenge, and for me, being a first-generation student on an Ivy League campus was a complete culture shock. Every other student seemed to come with experiences and perspectives and relationships far different from mine. There were times I thought no matter how hard I worked I was still not meeting my own expectations or others. It was incredibly isolating. I called home often, searching for those connections I had left in Oakland. And then my sophomore year, I lost a friend. She had been struggling with the isolation, and she didn’t make it. That was a wake-up call for me, because I had heard her talk about how alone she felt, and I was feeling the same way. I made a conscious decision then and there that I was going to build the connections and resources I was not born with, so I could graduate. I looked around campus and found my fellow travelers, my fellow low-income and first-gen students, and eventually, we fashioned our own networks and found support in our shared experiences. There are a lot of us on every campus, and when we come together, the journey becomes much more enjoyable. To my fellow first-generation students, I say, you are resilient, and there is a family for you even when you are far from home. Your unique experiences add to the intellectual discourse on your campus, and you deserve to be there. Find your people and speak your truth. I have learned that while I can be the first in many ways, I am not necessarily alone. And that has made all the difference. With a Perspective, I’m Michael Wong. 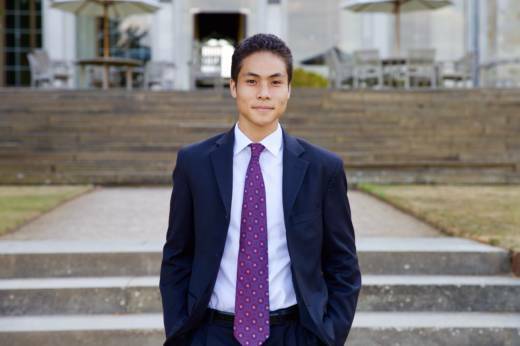 Michael Wong is a Gates Millennium Scholar at the University of Pennsylvania.